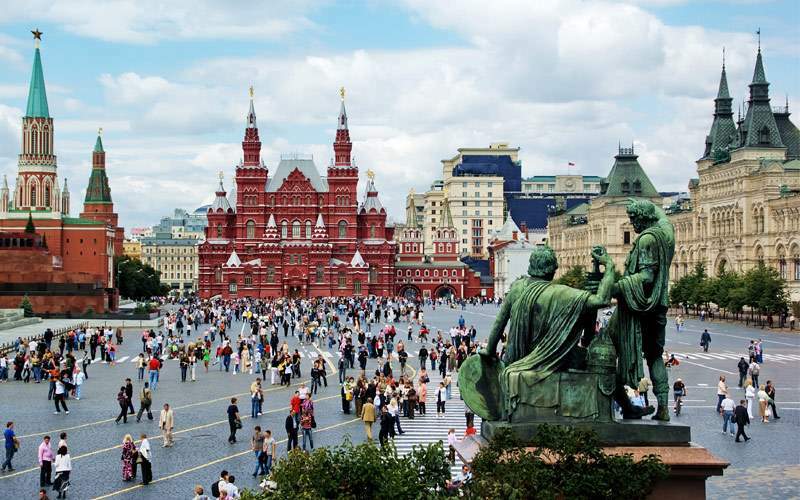 On a river cruise in Russia you’ll likely visit two of this expansive country’s most important cities, St. Petersburg and Moscow. St. Petersburg has always been more of a city focused on the arts and Moscow on business and politics. Tolstoy even remarked about this dichotomy in his masterpiece novel Anna Karenina. 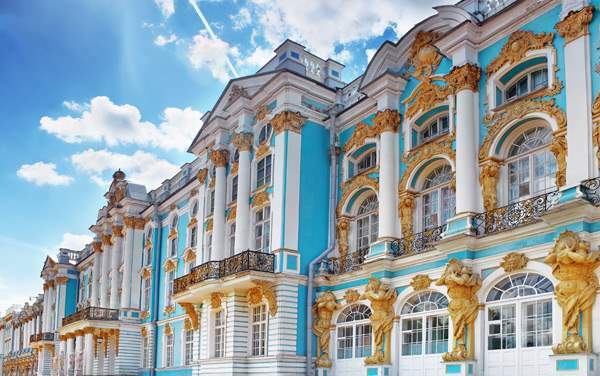 In St. Petersburg you’ll find the ornate Hermitage Museum, an art museum which was started by Catherine the Great. 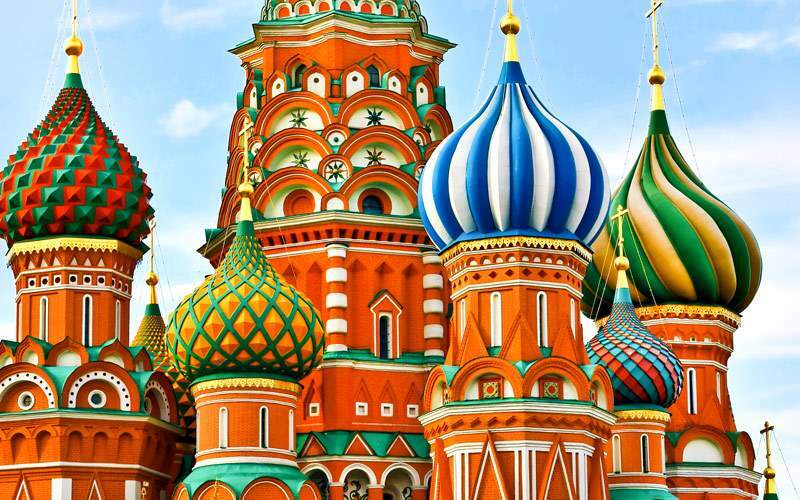 In Moscow you’ll be wowed by the colorful onion domes of St. Basil’s Cathedral at Red Square. 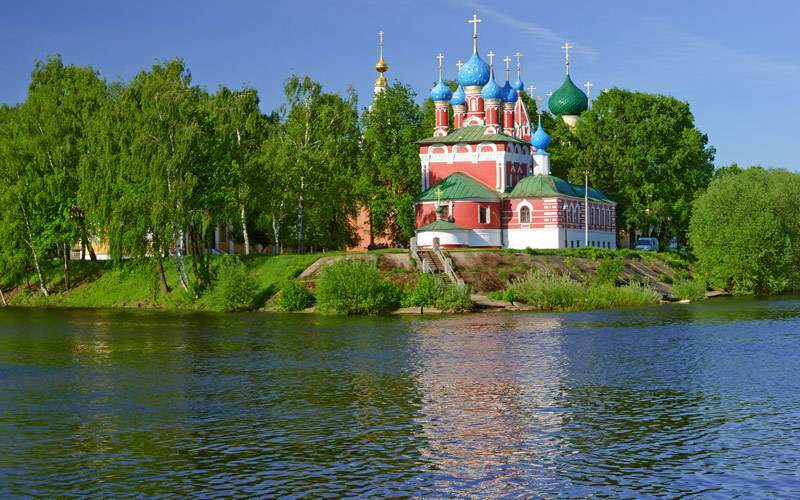 When cruising through Russia you’ll also get a chance to experience the rural parts of Western Russia in Goritsy or the Mandrogi village, which is reconstructed to look just as it did during the 18th century. 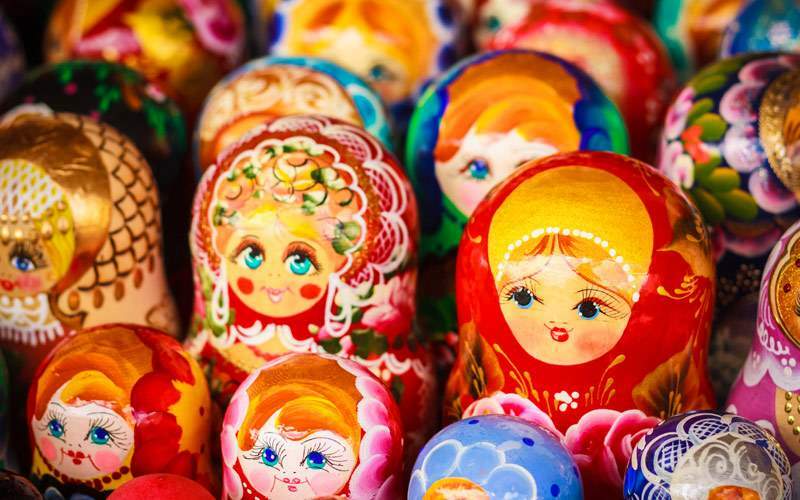 Explore the armory at the Kremlin where you can see the stunning royal jewels of the czars and czarinas. Don’t forget to check out the Faberge eggs, intricately decorated and jewel-adorned eggs created in the late 1800s and early 1900s. Visit a wooden church with 22 domes that is made without one single nail. This remarkable building is in Kizhi Island surrounded by other buildings at an open air museum. 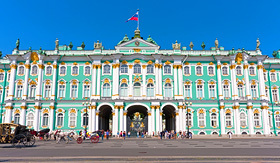 Spend a day discovering the more than 3 million works that make up the Hermitage Museum, which is housed in the Winter Palace, a former home of Russian royals located in St. Petersburg. Though ballet comes from Italy, Russia has made this elegant dance form what it is today. Be sure to enjoy a performance at either the Bolshoi Theater in Moscow or the Mariinsky Theater in St. Petersburg. Enjoy a Shashlik lunch. Shashlik is a Russian variation of a shish kebab which generally consists of grilled beef or cubed lamb that is been marinated and is roasted on a spit often paired with a variety of vegetables such as tomato, onion and eggpant. This is a popular fast food dish in Russia. 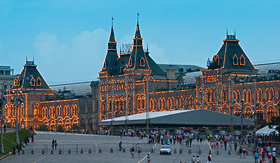 Go to GUM, Moscow's exorbitant shopping mall, to shop (or just browse) through one designer store after the other. 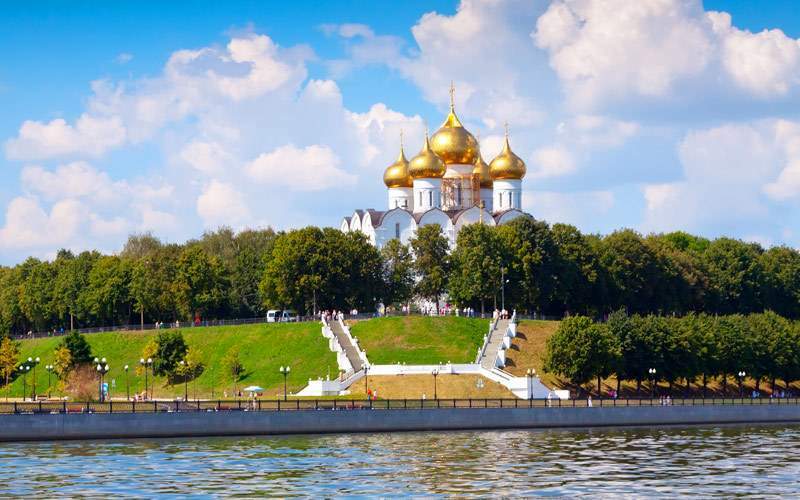 River cruise lines offer in-depth visits to Russia where you’ll get a real sense of the nation’s culture – from the big cities to the rural outposts. Each day is packed with history, art and tradition. 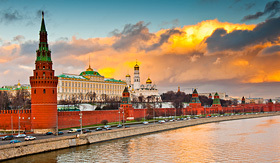 Russian river cruises either flow north or south, meaning they either start in St. Petersburg or Moscow. Moscow is the current capital of the country, but St. Petersburg used to hold that title and was the home of many of the country’s czars. 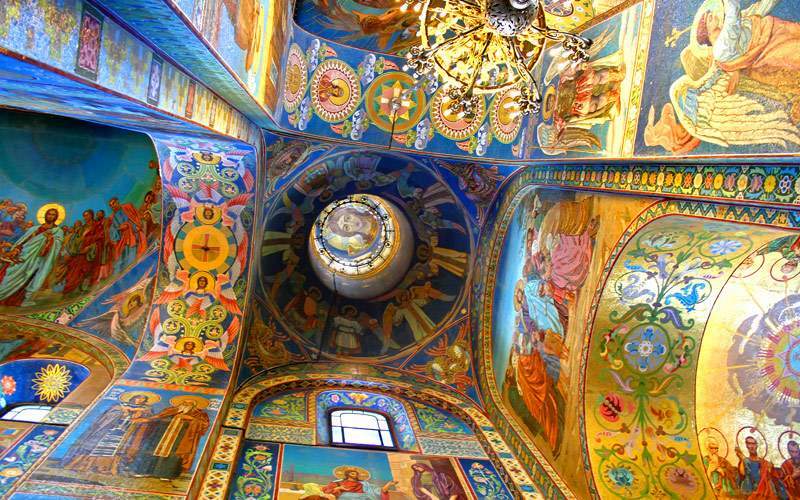 Both of these large cities offer great art museums and incredible domed churches. 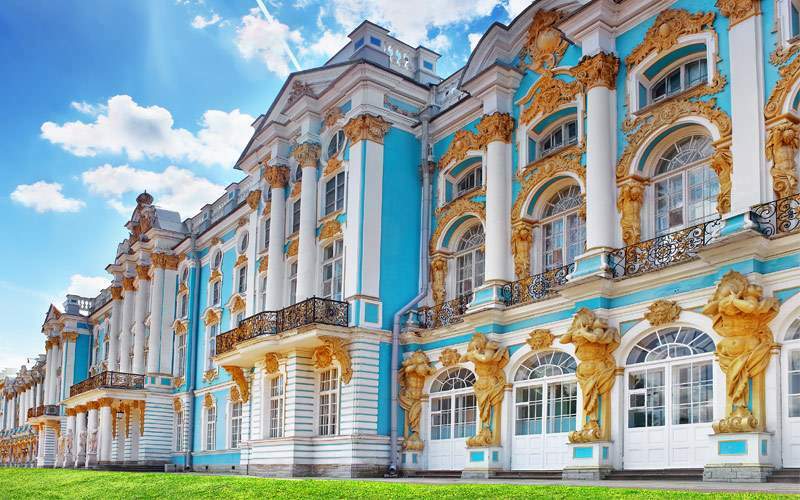 No matter where your river cruise starts, you’ll get a real sense of Russian culture as St. Petersburg offers an exploration of Russian history while Moscow is on the cutting edge and looking forward. Catch a glimpse into grand Russia in our Russia cruising photo gallery. 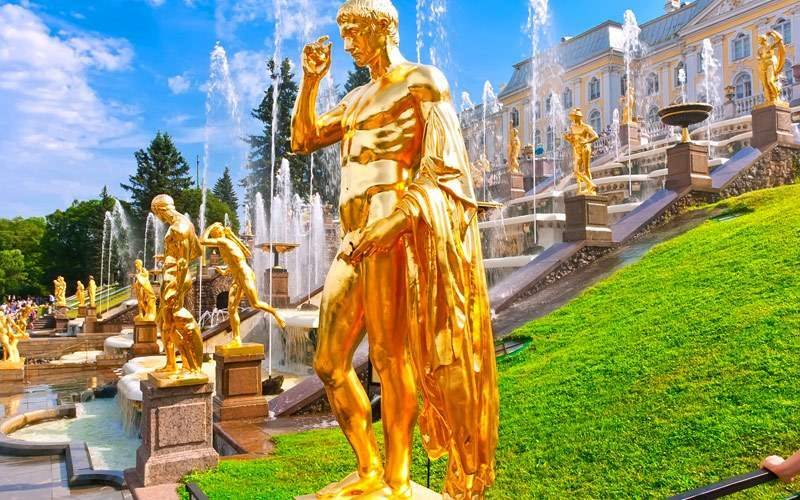 Preview many of Russia’s national treasures – like the Peterhof Palace, St. Basil’s Cathedral, Katherine’s Palace and Red Square – before contacting one of our cruise experts to plan your very own trip to this fascinating nation.